Some time ago Mrs. E. and I decided to watch Austenland. As a true “Jane Austen afficionado” it is, in my opinion, an obligation to keep an eye on Regency-related books and films. Not all of them is a masterpiece, I might add. 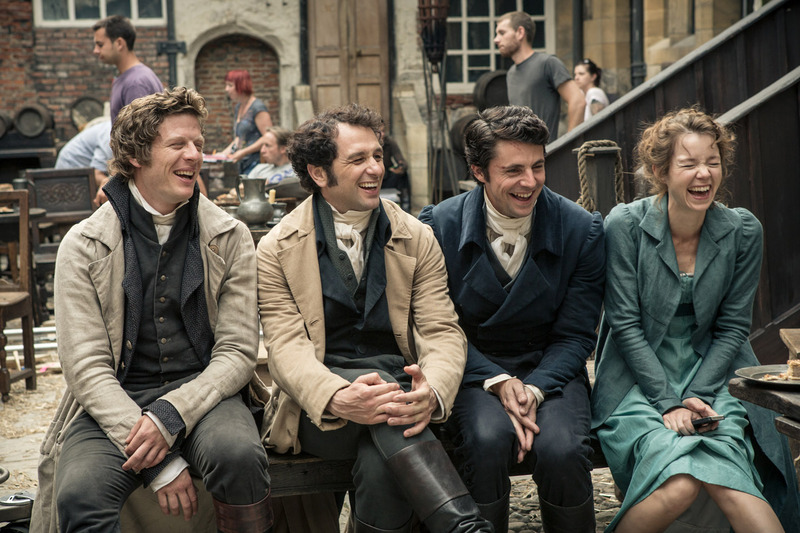 The film Austenland is the only one to appear on the big screen this year. It is based on a bestselling novel (“chick lit”), written by Shannon Hale. 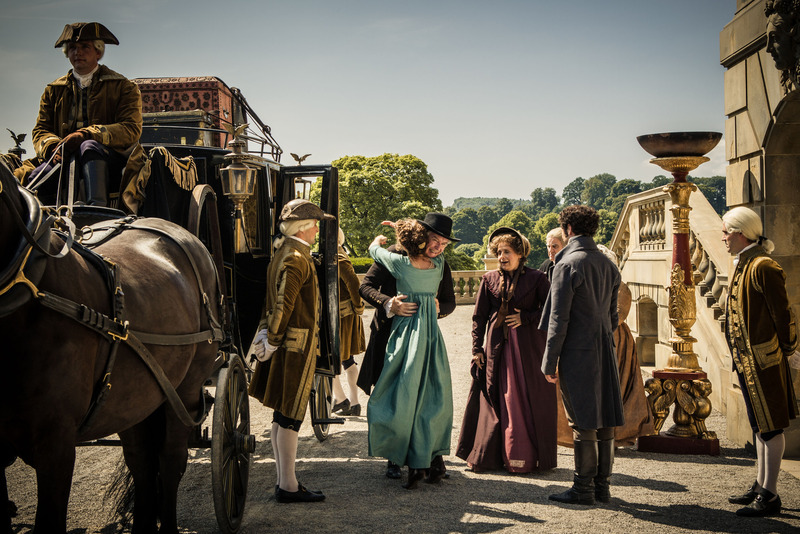 The story is sort of relevant to us with its references to the Austen-adaptations and “Darcymania”. But why be so chocked/blasé if you spend all your money on a stay in Austenland? If you are more than familiar with Miss Austen´s novels then perhaps some Regency etiquette shouldn´t come as a total surprise. I got the impression that Keri Russel´s character was looking for a way to escape rather than actually embracing the rules. But I did enjoy Jane Seymour (I admit, I had a teenage crush on her. Scarlett Pimpernel! War and Remembrance! The French Revolution!) and of course the formidable Rupert Vansittart. The film has its funny moments – and apparently the cast had a great time during filming – but in the end it is a mere trifle. What do you think? 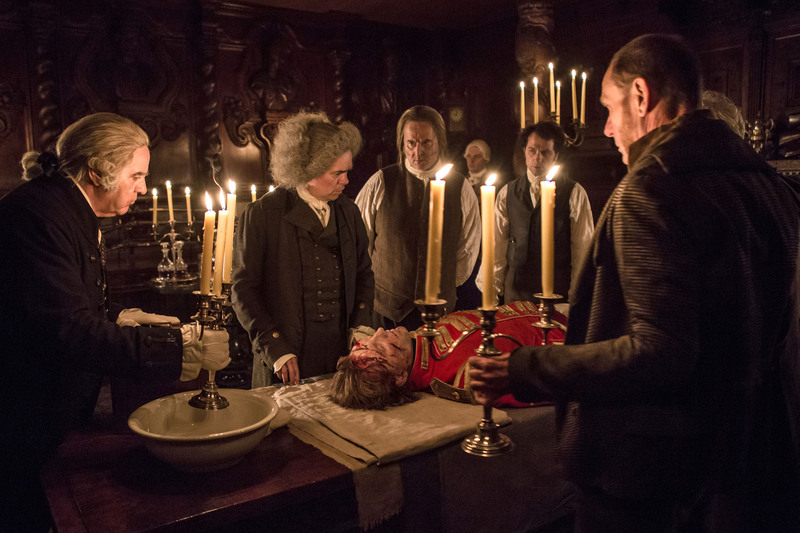 So what about production design? The manor was stunning. Plenty of nice costumes designed by Anne Hardinge. 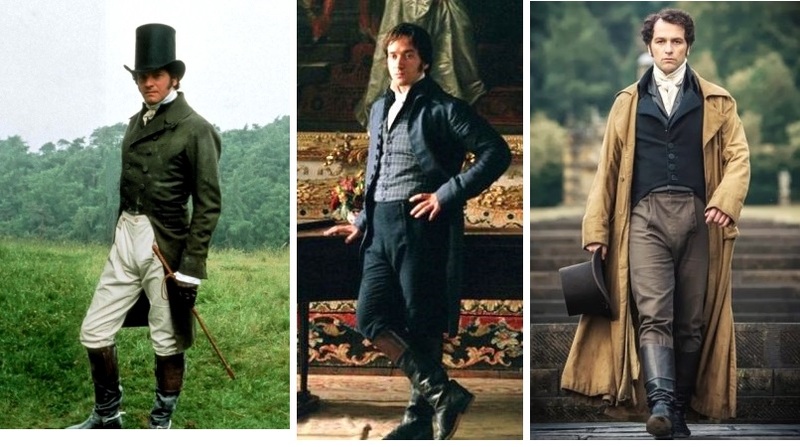 (And plenty of costumes that took liberties with Regency fashion!) 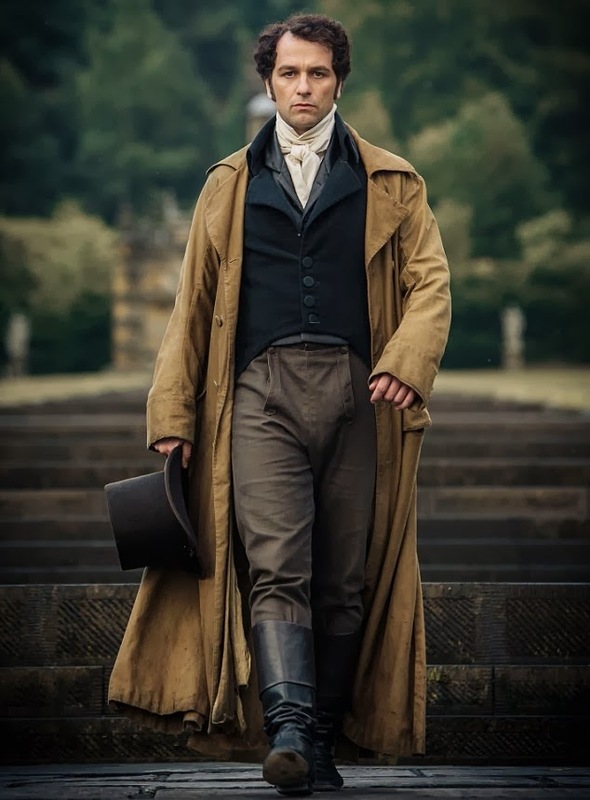 And would you know it – some of the clothes seen in Austenland were originally created for Colin Firth´s Mr. Darcy back in 1995! 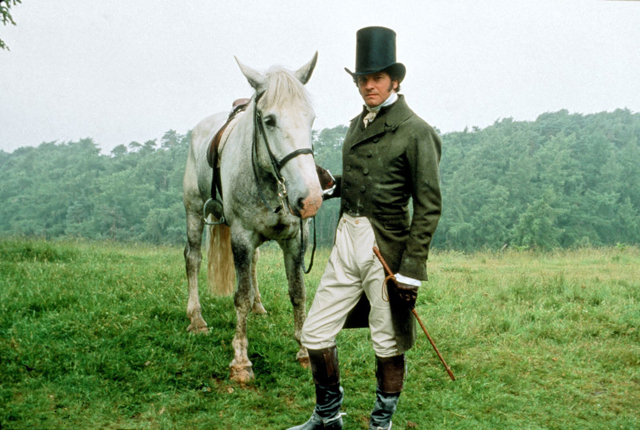 J.J. Feild is seen in a banyan, a linen overcoat, and top hat, the very ones that once belonged to our dear Mr. Darcy. Compare pictures! (Apologies for many exclamation marks!) 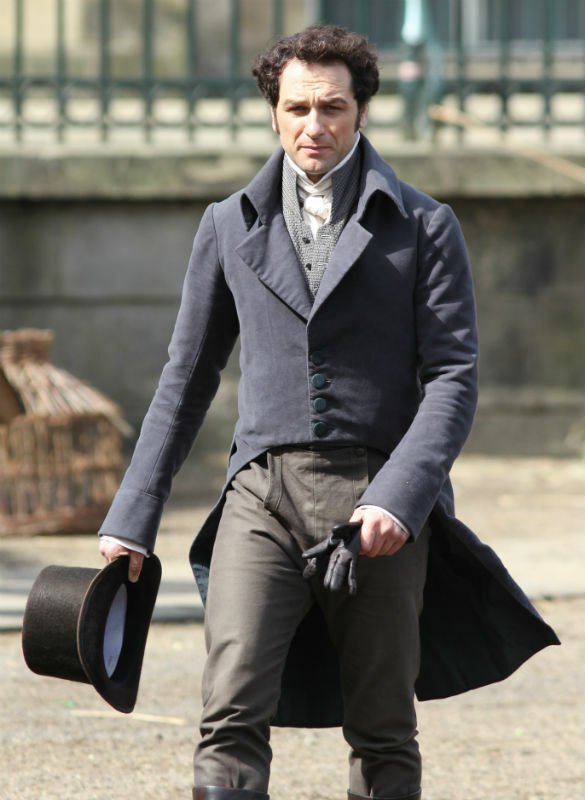 Must have helped J.J. to find his inner Regency gentleman. 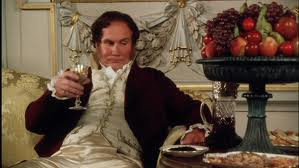 Rupert Vansittart as bon vivant Mr. Wattlesbrook caught in a moment of, ahum, ungentlemanlike behaviour. 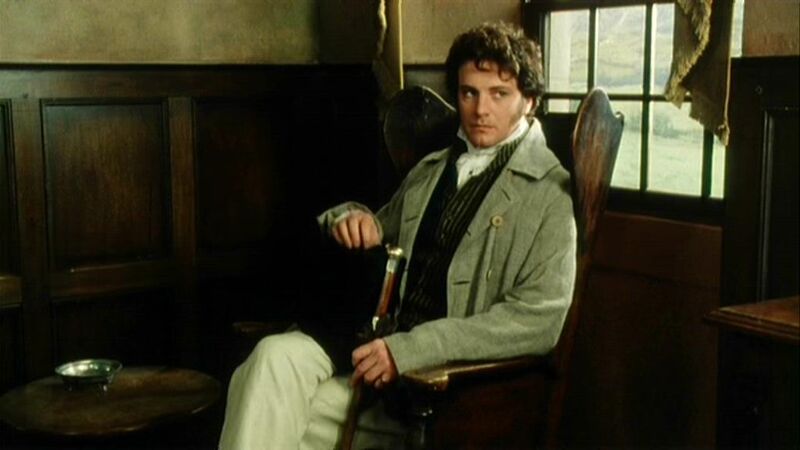 Nice waistcoat and fierce sideburns!